Lieutenant Colonel Commandant – Fix Bayonets! Franklin Wharton was born into a prominent Philadelphia family on July 23, 1767. He had forsaken a successful business career to enter the Marine Corps, receiving a commission to Captain in August 1798. Captain Wharton’s first assignment took him to the Marine Barracks, Philadelphia, but within a few weeks, he was assigned to the frigate USS United States. He commanded the ship’s Marine Detachment until the close of the so-called Quasi-War (1801). At the age of 36 years and only five years of service as a Marine, Franklin Wharton was appointed Major Commandant of the Marine Corps. He was the third commandant, following Lieutenant Colonel William Ward Burrows I. When the nation’s capital was moved to Washington DC, Wharton was advanced to the rank and position of Lieutenant Colonel Commandant and the first Commandant to occupy the official residence of the Commandant of the Marine Corps, which continues to serve in that capacity. At the time Wharton assumed his office, the US Navy was engaged with the Barbary Corsairs. The Commandant’s principal task was supplying Marines to serve aboard an increasing number of frigates. At the conclusion of the Barbary Wars, Congress demanded an inflexibly frugal economy. As ships returned from the North African coast, they were either decommissioned or their crews were significantly reduced. By 1810, the mood inside the Nation’s Capital was grim; there was a war coming, and the difficulties facing the Marine Corps were considerable. Even after the formal commencement of hostilities with the British, Congress refused to increase the size of the Corps. Congress nevertheless expected Wharton to supply Marines for duty at sea; Marines participated in land engagements at Annapolis, Fort McHenry, Portsmouth, Chaney Island, Bladensburg, and in New Orleans. Funding was not Wharton’s only problem. The Act of 1798 was written in such a way to produce significant confusion from the office of the Secretary of the Navy down through both the Navy and Marine Corps chain of command. The Secretary of War interpreted the legislation to mean that while Marines served aboard ship, they belonged to the Navy; when Marines served ashore, they belonged to the ranking Army commander of that department. Even while at war with Great Britain, Marine officers were placed under arrest and court-martialed for refusing to obey the orders of a senior Army officer. This problem did not “go away” until 1834. To make matters worse for Wharton, there were a few Marine officers who greatly desired to become Marine Corps Commandant, and one of these in particular began to encourage others to publicly question Wharton’s competence to remain in office. Of concern to a few was Wharton’s “failure to take to the field” as the British approached Washington. In fairness, it was a confusing time. There was no rapid communications, and I am quite certain that Wharton did not know with any degree of certainty the displacement of his forces. With important documents in hand, Wharton and his staff made their way to the Washington Navy Yard. Although instructed by the Secretary of the Navy to rally at Frederick, Maryland, Wharton placed himself at the disposal of Commodore Thomas Tingey, U. S. Navy, and Commandant of the Navy Yard. Tingey instructed Wharton to leave the Navy Yard; he was set to set it afire. Wharton, it was said, seemed confused. He left the Navy Yard by small boat. One of Wharton’s political enemies, the insubordinate Brevet Major Archibald Henderson, argued that Wharton has injured the good reputation of the Marine Corps. Charges were filed and the Secretary of the Navy ordered a court-martial, which convened on September 20, 1817. The President of the Court was Colonel William King, 4th Infantry, U. S. Army. Board members included Colonel T. J. Jessup, 3rd Infantry, U. S. Army, Major Richard Smith, USMC, Major J. M. Davis, General Staff, U. S. Army, Captain Robert D. Wainwright, USMC. The Specific charges made by Brevet Major Archibald Henderson were as follows: Charge 1: Neglect. Specification 1, that LtCol Wharton never commanded any parade in the Marine Corps; Specification 2, that LtCol Wharton never commanded any Marine Corps unit in the field; Specification 3, that LtCol Wharton never inspected any Marine Corps unit; Specification 4, that LtCol Wharton neglected to provide Captain Robert D. Wainwright the information he needed to execute the sentence of a courts-martial; and Specification 5, that due to LtCol Wharton’s neglect, Private Peter Moore had been unnecessarily and oppressively held in confinement beyond the end of his enlistment. The charges were outlandish, of course and LtCol Wharton was acquitted of all charges, but the episode created ill feelings among the Corps’ senior officers. 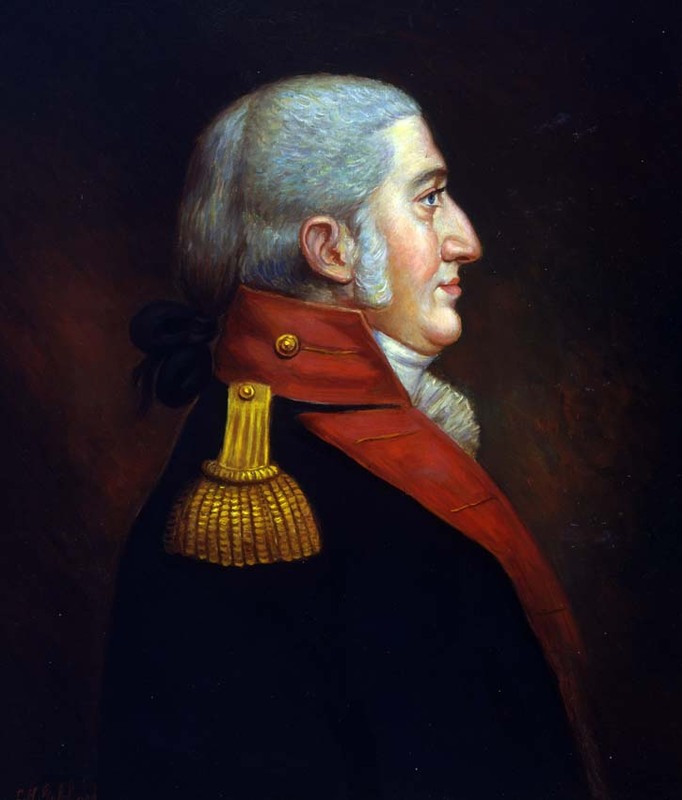 Lieutenant Colonel Wharton died while serving in office a little less than one year later, on September 1, 1818. Lieutenant Colonel Commandant Wharton did make substantial contributions to the efficient organization of the emerging Marine Corps. For the first time the uniforms and equipment were standardized for all Marines, traditions and practices well established and reinforced, and it was during his command that the United States Marine Corps Band began their award winning tenure as “The President’s Own.” Colonel Wharton is buried in the cemetery of Trinity Church, New York City. Archibald Henderson did eventually become Commandant of the Marine Corps; a post he held for 39 years —but not before he battled with Major Anthony Gale over the right of succession. Gale was eventually cashiered from the Marine Corps after a year in office but given Henderson’s revolting behavior toward Wharton, we can only imagine what intrigues he might have arranged against Anthony Gale. I was stunned to read that a Commandant, albeit the first one, court-martialed and on such charges. In this case, while the Navy (and the Marines) is never wrong, it was a little short on being right. It is always sad to see politics reign in the ranks of the military. I recognized some names in your story which were big names in the WWII era, like Henderson, Smith and Wainright. Any relation? Outside of the troop transport, Henderson is not a name we associate with World War II. For some background on Archibald Henderson, please see my previous two posts, “Gone to fight the Indians.” We actually do not know very much about Major Richard Smith; the Marine Corps has had several prominent leaders named Smith, but whether there is any connection between them and Richard is impossible for me to tell. Smith is the most prevalent surname in the UK, US, and Australia. As for Wainwright, you may be thinking of General Jonathan M. Wainwright IV who commanded the US Army in the Philippines after MacArthur skedaddled to Australia. It is possible that Jonathan Wainwright is related to Captain Robert D. Wainwright, USMC who commanded the Marine Barracks in Boston in 1825. Jonathan M. Wainwright was the son of Robert Powell Page Wainwright (killed in action in the Philippines 1902), grandson of Lieutenant Jonathan Mayhew Wainwright II U. S. Navy, killed in the Civil War and the great-grandson of Jonathan Mayhew Wainwright I, a bishop who lived in Boston after emigrating from England in 1791. If there were a connection between General Wainwright and Captain Wainwright of the Marines, it would have to be extended family.